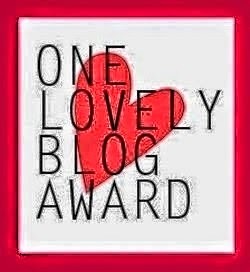 I was recently surprised, pleasantly I might add, to see my blog listed by Heather Wilkinson Rojo for a Lovely Blog Award. I am still amazed that people actually read what I write, never mind other fantastic bloggers. So there are rules for this award, as follows. Thank you Heather at Nutfield Genealogy for my Lovely Blog Award! 1. I was born in Boston, Massachusetts, well Chelsea really, but Boston is where my parents lived. 4. I live in Texas, so far away from my New England ancestors! 6. I love to cook! 7. If I could stay home all day and write my blog I would, jobs are so annoying. Well here is where I run into trouble. I am so busy that I don't have time to really follow a lot of blogs, but here are the ones I do read. medievalists.net Peter Konieczny and Sandra Alverez, I am crazy about medieval history, oh I should have had that as one of my seven things, this is a great blog full of just that.